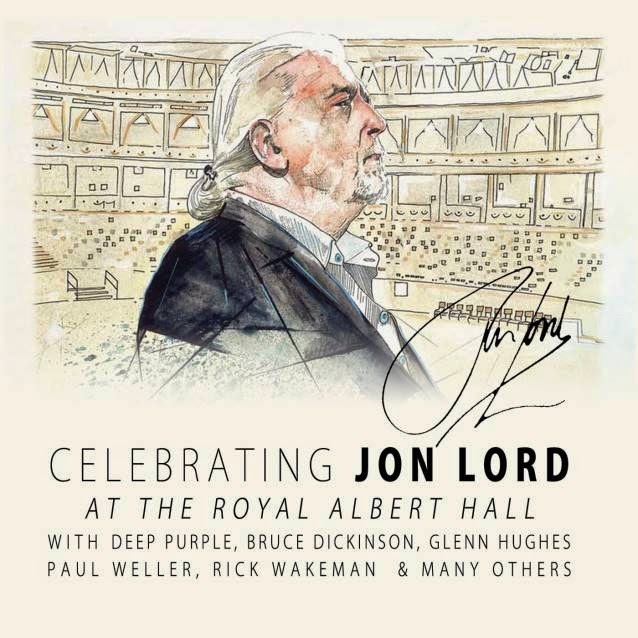 A video preview of "Celebrating Jon Lord - At The Royal Albert Hall", a new DVD, Blu-ray and CD due this fall, is now available. The tribute featured rock legends including Deep Purple members Ian Paice, Roger Glover, Don Airey and Steve Morse, Iron Maiden’s Bruce Dickinson, Glenn Hughes, Rick Wakeman, Micky Moody, Joe Brown and Alfie Boe. Check out fan-filmed video from the tribute concert event here.